Advantages of using WordPress for your Website. 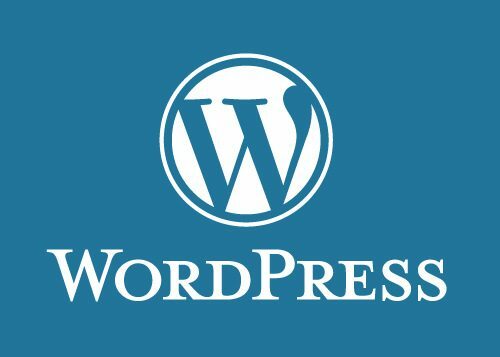 WordPress is a state-of-the-art semantic personal publishing platform with a focus on aesthetics, web standards, and usability – this is the official line from WordPress themselves. But here is what I think makes WordPress top of the heap with in comes to Content Management Systems. The essence of WordPress it’s easy to use. Adding blog posts, pages and images can be done after a quick tutorial. No knowledge of HTML is needed as WordPress is purely self-contained. You make the updates, you don’t need a web designer or any third party to make updates to your website. As WordPress is browser-based, you can login from any computer to make changes. Customising your website is an essential selling point for WordPress, beautiful themes can transform your site into a thing of beauty. Plugins of course can push functionality to the max with features like Twitter feed, Video and Image Gallery and Events calendar. Search engines read and index content from WordPress sites with such ease as a result of the code that it’s written in. Search Engine Optimisation is a friend to WordPress because each page, image or post can have it’s own meta tag keywords, title and description. Blogging capabilities are to the fore with WordPress as that was what its original design was all about. The ability for users to comment and sign up to email subscriptions will give your organisation a real interactive feel. Furthermore, an administrator can add multiple users to the site for glorious collaboration. WordPress has been around since 2003 and for the very reasons stated it will continue grow in popularity. Such diverse sites like the Indian Prime Minister, Katy Perry and Walt Disney all have their official WordPress Websites. OSD Digital Agency conducted a comprehensive Digital Marketing "Health Check" for the Bush Hotel which we found to be very beneficial and helped identify and prioritise a course of action. The review and recommendations for our brand website, reputation management and digital marketing strategy were very actionable, everything was explained in straightforward terms during the onsite consultation. Graham was very approachable - we had lots of questions, all of which were answered with straightforward explanations which were easy to understand. As a follow-up to the review, he compiled a sheet of recommendations for action with suggested deadlines for these, which we found very useful and achievable. I would recommend this service to any business seeking to review and improve their Digital Marketing efforts.